Yes, it has been almost three weeks since this album was released, but I simply haven’t got around to doing a post about it yet. I know that almost everyone has probably heard it by now, but to be honest I just really want an excuse to be able to ramble about how much I adore this album, and this is it. I have to admit, I was nervous for this album to come out. To start with I didn’t like the idea of ‘old Taylor’ being gone. I’ve been a fan of Taylor since the ‘Fearless’ days and I loved her old music so much, so the idea that she was almost trying to reinvent herself made 13-year-old me a little sad. Also, when ‘Look What You Made Me Do’ was first released, I absolutely hated it. Yes, I said it. I thought ‘oh my God Taylor, what on EARTH are you doing?!’. Seriously, I thought Taylor Swift was ruined. Dramatic but I honestly just really didn’t like it, no matter how hard I tried. However, a few weeks later I found myself singing along to it all the time, jamming to it whenever it came on the radio, and now admittedly it is my least favourite song on the album but I do love it. It really grew on me and the more I listened to it the more I loved it. 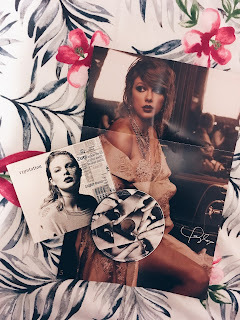 I really do think it was the right choice for the first comeback single for three years from Taylor because it epitomises everything ‘Reputation’ stands for. It shows that she doesn’t care what people say about her any longer and this message is what I think the album is all about. It’s certainly relayed in the opening message from Taylor in the front of the booklet that comes with the physical copy of the album. I absolutely adore this message because it’s so sassy and empowering, it’s Taylor being brutally honest and talking about how the media and society pick apart her songs and always want to know who they’re about rather than valuing them just as good songs. She also talks about the fact that people only see the side to us that we choose to show to the world, and behind all the perfectly-filtered selfies and posts about all the good things in our lives we never truly know what goes on behind closed doors. People think they know you, but they don’t. And again, I think this perfectly encompasses what ‘Reputation’ is all about. The album opens with ‘…Ready For It?’ which was the second single released before the album. I think this is a perfect choice for the opening song because for me it’s the perfect mix between her new and old style. The verses are almost rap-like in style yet the chorus has echoes of her old music and it’s perfect to get you hyped up for the rest of the album. It’s followed by one of my least favourite songs on the album, ‘Endgame’. Along with ‘Look What You Made Me Do’, these are the only songs I usually skip. I don’t really know why I don’t like ‘Endgame’, since I love Ed Sheeran and he’s featured on this track. But so is rapper ‘Future’ and I really don’t like that style of music, so it’s not really something I’d usually listen to. The next two songs ‘I Did Something Bad’ and ‘Don’t Blame Me’ are pure jamming material. They both have that new, almost rockier style and I’d have to say that ‘Don’t Blame Me’ is one of my favourites on the album; I always find I’m singing it to myself in my head because the tune is just so catchy but not at all in an annoying way. It’s just something about the melody and the almost dark-sounding background music coupled with Taylor’s amazing vocals and lyrics that makes it definitely one of my top three on the album. ‘Delicate’ provides a softer side to the album for the first time and also has echoes of her older music. It’s a very sensual song and not going to lie, makes me wish I had someone to love (lol forever alone). I think it’s a very honest, vulnerable song in which Taylor wonders whether this guy (whoever he is, not speculating because that’s not what Taylor wants us to do!) really likes her for her personality and who she is rather than who her reputation portrays her as. It’s actually really deep, if you listen to the lyrics, but what else would you expect from a lyrical genius such as Queen Taylor? Similarly, ‘So It Goes…’ is very much on a similar vein as ‘Delicate’ in the fact that it reminds me of her older music and is also very sensual. I find myself getting very into it when I listen to it through headphones, and actually got so into it when standing on a crowded train the other day that I lost my balance and almost face planted onto the guy in front of me. Damn you Taylor for writing such good songs that I lose my balance. ‘Gorgeous’ was released just before the album was and I fell in love with it straight away. Again, it harks back in a way to her older music as its quite sweet and melodic, I just adore the tune and the lyrics and everything about it really. Now, ‘Getaway Car’ is hands down my favourite song on the album. I could listen to it on repeat for the rest of my life and never get tired of it. I adore everything about it; the melody, the tune, the vocals, the lyrics, the music. Just everything about it is so beautiful and so well put together and I know I’ve said this way too many times but it reminds me of the old Taylor and I’m totally gushing right now but I don’t care, the masterpiece that is ‘Getaway Car’ deserves all the praise. It is a truly beautiful work of art. ‘Dancing With Our Hands Tied’, ‘Dress’ and ‘Call It What You Want’ are more subdued and slow-paced, which I feel is the perfect balance for the album because you always need a good few slower songs. I wouldn’t say any of these three are particularly my favourites but each of them are lovely to listen to and provide a bit of a break if feisty new Taylor isn’t quite your thing (even though it should be, just saying). Similarly, ‘King of My Heart’ is a really sweet but a bit livelier song that I can guarantee will get stuck in your head all day. Then we come to ‘This is Why we Can’t Have Nice Things’. Wow, I have so much to say about this song. First off, it reminds me of ‘It’s a Hard Knock Life’ from Annie. Random, but seriously listen to it with that in mind and the tune of the chorus is very similar. Anyway, this song is easily one of my favourites on the album. I just love it so much. It’s really sassy and empowering and I just want to sing it really in the face of certain people from my past. It’s all about someone who’s been a fake friend to you and betrayed you, and I’m sure we all can relate to that. The melody is childish on purpose, I think, to reflect the fact that the nature of what it’s about could be seen as immature but really the lyrics are completely amazing – essentially dissing somebody really hard for being such a bad friend but doing it in a way, as Taylor does so well, that is really relatable and just an honour to listen to. I think I’ve rambled about this song more than I did for ‘Getaway Car’, but honestly I am just obsessed with this song I think because I can relate to it and also because it epitomises the message I think Taylor is trying to get across with this album which is that she’s over the drama, and the fake people, and you can say what you want but it’s not going to affect her any more. YOU GO GIRL! Finally, the album finishes with the more emotional and slow ‘New Year’s Day’. Perfect listening through your headphones while staring out the train window at dusk while the sun is setting and it’s raining material. No I totally haven’t done that. Anyway, it’s such a beautiful song about missing someone and the story about how she performed it on Jimmy Fallon after his mum died was just the sweetest and most emotional thing ever and makes my heart melt every time I listen to it. I definitely have a soft spot for this song, mostly because I adore soppy things and anything that makes me feel emotional, but I think it ends the album on such a sweet, subdued and beautiful note. 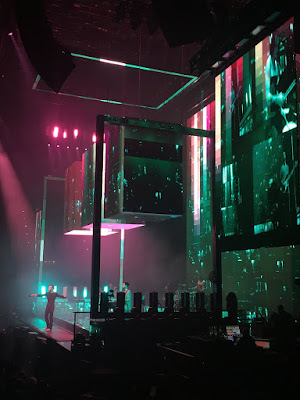 Overall, I had no reason to be scared about what ‘Reputation’ would hold. It is the perfect mixture of new and old Taylor, and I haven’t been able to stop listening to it since it came out. I can’t believe I ever expected anything less of Taylor, the queen of beautiful lyrics. All joking aside though, Taylor’s ability to write deep, meaningful lyrics never ceases to amaze me. While the charts these days are mostly full of rubbish with the same two lines repeated for three minutes, Taylor keeps producing lyrically beautiful, meaningful and empowering songs. ‘Reputation’ for me shows the fact that Taylor just isn’t bothered by what people think of her any more, she is strong and empowering and that’s what I love about her. This album truly does show that you are more than what people think of you, and that’s definitely something I’ve learned too over the years. I am praying that I will be lucky enough to get tickets to be able to hear it live next year. 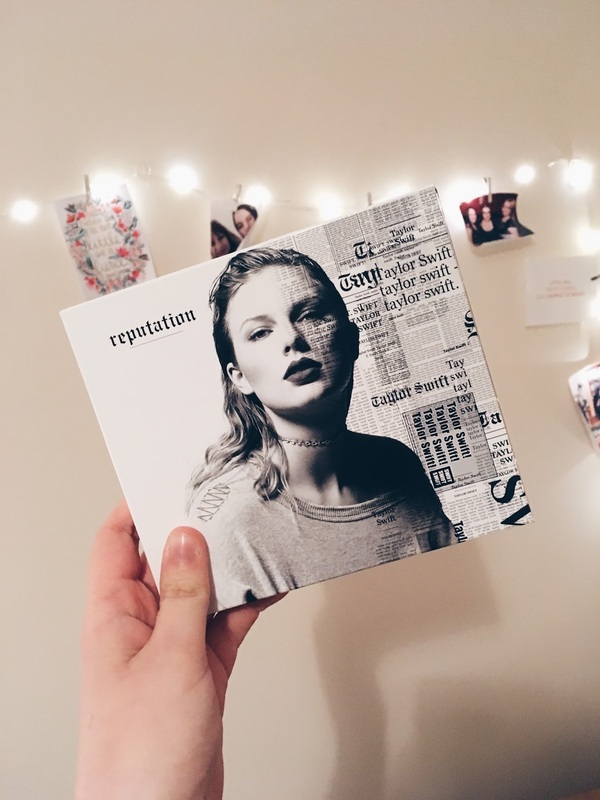 What do you think of ‘Reputation’? Are you going to try for tickets to Taylor’s tour next year too? I’d love to hear from you in the comments, and maybe tell me what your favourite songs from the album are too! omg SAME. ive been loving her since the hey stephen days and was sooo nervous that she'd totally lose the country vibe she had. the whole album is definitely a creeper, right? when i first heard it i wasnt blown away by any of the songs but ive had a few of them stuck in my head on an ongoing repeat now! i didnt really like end game either. my two faves are dress and call it what you want! Ahh me too, her old music was so good! I totally agree with you, on first listen nothing stood out to me but now I can't stop listening even after a month! Thank you for reading and commenting, it means so much to me!